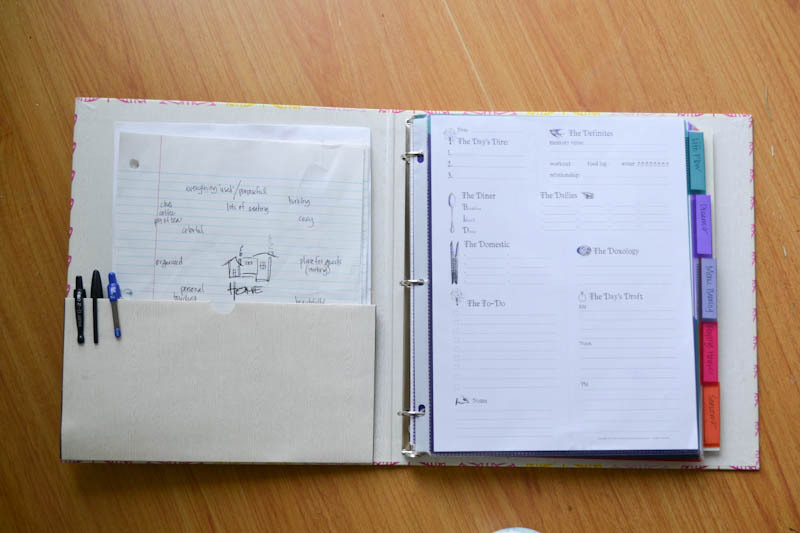 Yesterday I gave a brief and general overview of a homemaking binder. Today, I want to talk about what is in mine. First, I have links to the places I printed all of my pages from at the end of this blog. Also, I have most of these pages tucked into the plastic sheet protectors. Then I just take a reusable marker & write on top of the pages. This allows me to erase what I wrote earlier & add new ideas without having to reprint the pages. I actually discovered what is called a “wet erase” marker that only comes off when you use something slightly damp, so it doesn’t smudge when I run my hand across it. I use the finest tip I can find so it feels like a pen in my hand & so far I have been very happy with it. Now, onto the first part of my binder! 1. My top 5 to-do’s for the day. If I can accomplish one, it’s been a good day. If I get two of them done, it’s been a great day. Three means its amazing. Four means it’s phenomenal. And five means it’s been miraculous. These “to-do’s” are on top of the regular housework/cleaning work (that I will talk about tomorrow). Whatever doesn’t get done today will get moved to later in the week. 2. My meditation for the season. This is usually a verse, but can also be a quote (or two). These are just life-giving reminders and things that are good for me to see daily. 3. A place for notes – these are reminders I might need for that day, or a place to jot to-do’s for later in the week. 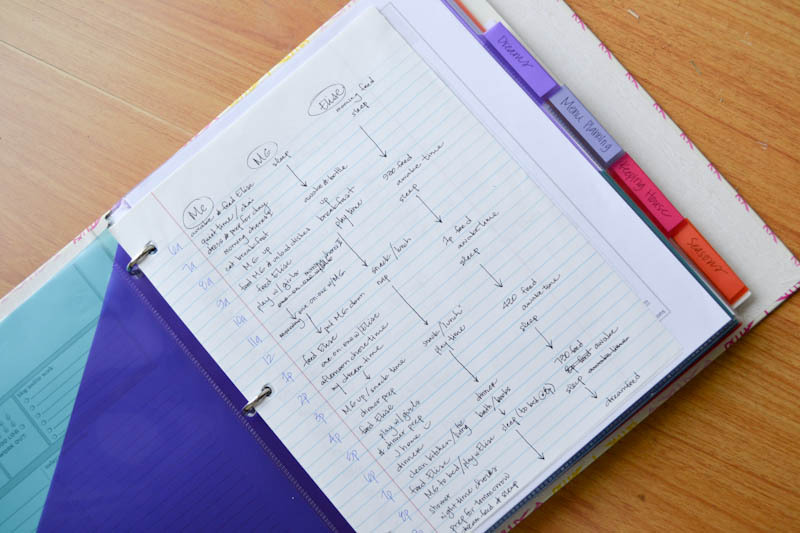 Honestly this takes up most of the room in my docket – I am always remembering something I need to do! That is pretty much it right now for the most “usable” parts of my docket. I am probably going to change over my current page for this one as it’s much simpler. Under the tab “Dreams”, I have several pages. This is where I plan out my blogs. I keep a list of running ideas I want to talk about, as well as the schedule I need to keep to stay on top of it. I don’t always do great, but it’s a place to keep my personal goals/dreams and ideas for my writing. This is just a short list of things I want to do during what I call “dream time” (i.e. the few hours..or minutes in the day where both of my girls are asleep or content). For instance on Tuesday I like to try & bake something for my home for the week. My Dreams tab is so important to my heart because it reminds me that life is bigger than just the daily tasks of cleaning my home & cooking dinner. Those are important things (which I will talk about tomorrow), but opening up my binder to see ideas for things bigger than just today keeps my heart energized. I hope getting a peak into the very practical way I make my house a home is helpful! Tomorrow I will talk about menu planning, keeping house & seasons. 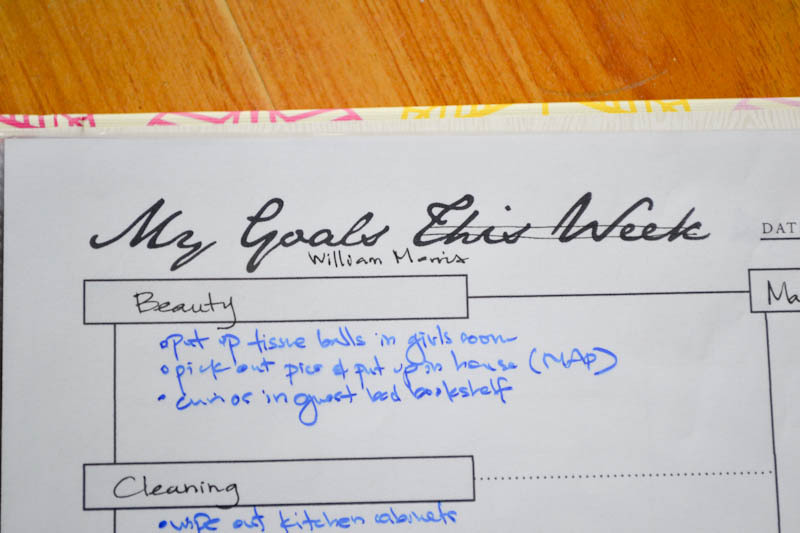 Do you use a homemaking journal? What is most effective for you to keep your home organized & running smoothly?